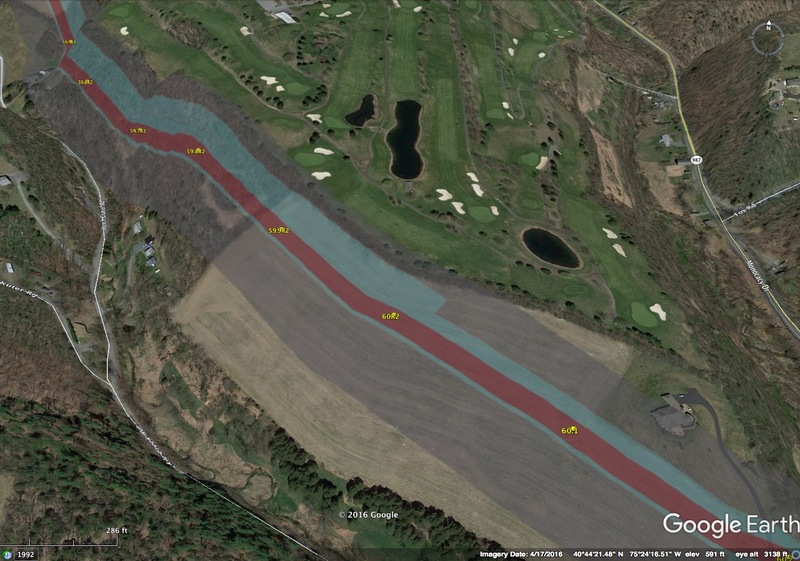 This is part 16 of the 3D flyover video series of the PennEast routes. In this installment, we look at the route in the vicinity of Chapman, PA between mileposts 60 and 54. I have also begun organizing these videos, they are all available under the “3D Flyover Videos” top navigation area. As you can see a large number of trees would be clear cut on this steep side slope. The rest of the route hits mostly a number of farms, a clear case of targeting agriculture to lower PennEast’s land acquisition and construction costs.